It involves drawing two right triangles inside the circle. 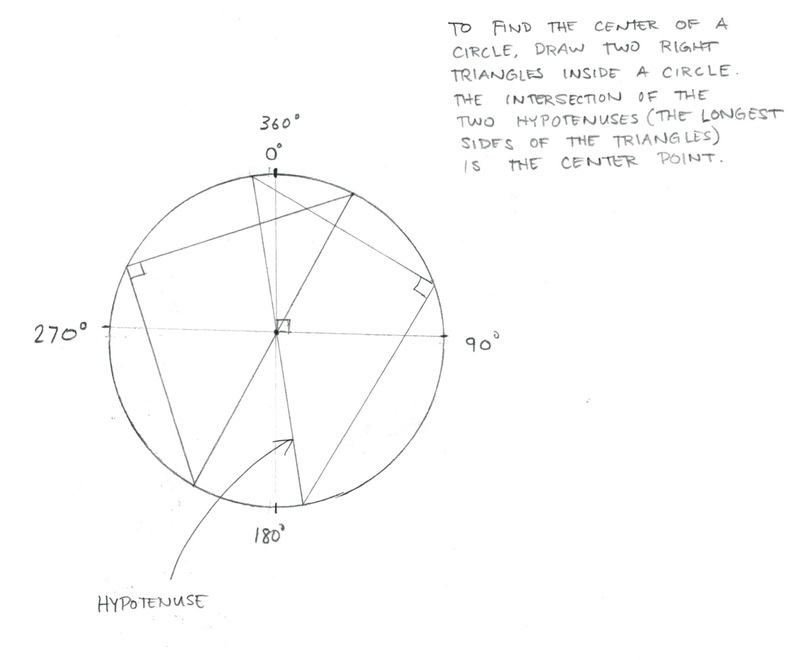 Where the hypotenuses intersect is the center of the circle. 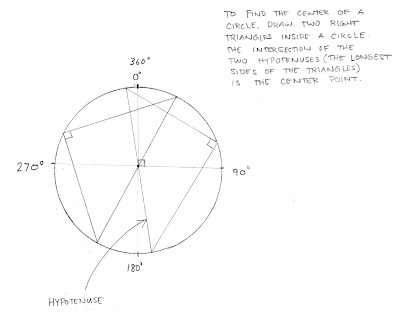 What is your favorite method of finding the center of a circle?